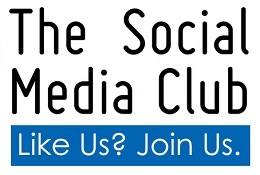 The Social Media Club is a free initiative I’ve designed to show you how to get the most out of social media to act as your marketing, sales and customer service department rolled into one..
As a club member you’re invited to enjoy a vibrant Facebook Group, where members share tips and the latest updates with each other, and get fast answers to their social media and business questions. You’ll also benefit from the unique inbuilt marketing and promotion of your content by all members, once a week, extending your reach and visibility well beyond your own networks to a whole new audience. Enjoy tips and tricks on SEO to increase traffic to your blog and website and get found by potential clients. This is where the Social Media Club members meet and where I post interesting facts, tips or articles throughout the week to keep you on your toes and so do members. I monitor the Group closely and answer questions daily (no selling or self promotion is allowed). Club members ask and answer great questions to from email platforms, to WordPress plugins to strategies for guest posting. Once a week, each member can post something they want shared or retweeted by group members on social networks. In return, you do the same for them. Trust me, this works really well. This is all done via a simple Google Group with the potential to make your message reach a whole new audience!